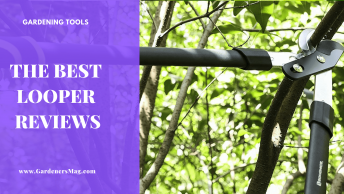 If you care for your garden, then you’ll know that your plants, grass and flowers need feeding, and in most cases, this means using fertilizer. 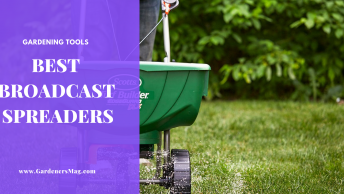 For a convenient way to do this, you should consider using only the best fertilizer spreaders, which will help get this job done quickly and effectively. There are many garden tools whose name tell you almost exactly what they are going to look like such as a garden fork, or garden hose. When it comes to fertilizer spreaders however, the diversity in size, shape, configuration and how they are used, is significant. For this reason, it is probably more important for this product than others, that you are aware of the types of fertilizer spreaders which are available. More than this, it will help you make your decision in terms of which specific product you want to buy if you understand what is available to you, and what features should be considered. It may help if we first touch on why using fertilizer in your garden is so important. Flowers, grass, bushes, trees, and most other plants require three things to thrive. They are nutrients, moisture, and light. Although in some nurseries they use artificial light, we are going to assume that in your garden, the sun takes care of that for you. Moisture will come from the rain, and during any periods of the year when the rainfall is negligible, then your trusty watering can, or hose will make fine substitutes. Where plants get their nutrition, or food, from, is normally from the soil they are growing in. How rich the soil is in these nutrients, will determine how well the plant grows. However, to boost the nutrition your plants get, or more importantly where the soil lacks nutrition, you need to provide that for them. 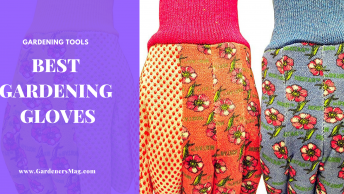 You could use manure or compost, and these will certainly work, but not everyone has farm animals roaming in the backyard, nor the inclination to create a compost pile. The answer for most is therefore to use fertilizer. Fertilizers come in lots of different forms with all sorts of ingredients and to explain them all, would take up the rest of this entire article, so we will save that for another day. But one thing most of them have in common is they can be spread evenly, and efficiently using a fertilizer spreader. Using fertilizer to nourish your plants is as important in a small garden as it is a large garden. After all, the plants are not going to thrive in either size garden, if they do not have enough nutrients. Where the size of your garden will make a difference is in terms of the most suitable type and size of fertilizer spreader. 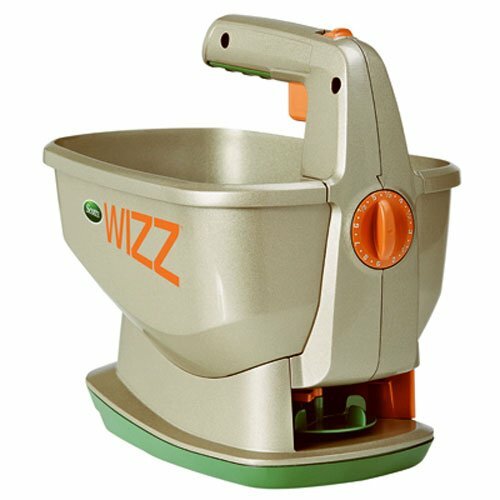 Starting with planters or window boxes, using a wheeled spreader is obviously impossible; therefore, a simple handheld fertilizer spreader is most suitable. For a medium-, to a large-sized garden you could use the handheld ones, but a more suitable option is a wheeled spreader which you push. The most basic fertilizer spreaders have a design akin to drinks bottles. To use them you fill them with the appropriate fertilizer and then close them with a lid that has holes in it. This can be adjusted so that the size of holes is set to the amount of fertilizer you wish to release. To spread the fertilizer, you simply stand over or walk around your plants and shake the bottle over them, in the same way, you would shake salt over your fries. These simple, but very durable, spreaders can be used in any garden, but for large gardens they might require more legwork than some people are prepared to put in. The next stage up is handheld fertilizer spreaders that have a bigger capacity, and the spreading process is enhanced with a battery-powered spreader. You carry them around your garden as though you were holding a bucket and take it to the areas where you wish the fertilizer to be spread. One of the benefits of this type is you have a controller which can be used to set the amount of fertilizer being released. The spread width can also be adjusted so that the fertilizer is only covering the target area, and not wasted. The biggest fertilizer spreader that is suited to gardens, is one with wheels. This has a pretty simple setup with a hopper for the fertilizer to go in, housed in a frame with a wheel on each side, and handles, similar to a manual lawnmower. To use it you push it around your garden, and as the wheels are turning, the gearbox they are connected to causes a plate to spin beneath the hopper. This plate spreads the fertilizer as you are walking. You also have a release lever which stops and starts the spreading, so fertilizer is only released where you want it to. 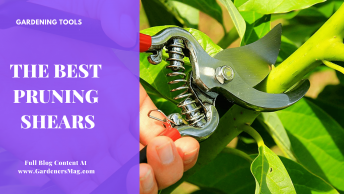 Although there are much more dangerous activities you can carry out in your garden, such as hedge trimming, there are still one or two safety points to be aware of. Firstly, it is always a good idea to wear gloves when spreading fertilizer so that your hands never have to come directly into contact with it. Fertilizer can cause skin irritation, and there’s the risk that if you rub your eye, that is going to be irritated too. A further risk is plant food poisoning which occurs because of you ingesting fertilizer that has been transferred from your hands to the food you have eaten such as fruit, or a sandwich. It also advisable to wear a face mask when you are spreading fertilizer too. There can be a lot of tiny particles floating about as it is being spread, plus there may be dust being generated as you are walking around. You do not want to be breathing in either of these and wearing a face mask will achieve that. Our first review of fertilizer spreaders brings us one of the most unique and innovative designs of any we are likely to look at. Its appearance is akin to a simple carrier, but once you start to examine it and use it, you will soon find there is a lot more to it than that. The first point to note about his spreader is that it is battery operated, and it normally comes with 4 standard AA batteries. Looking forward, we recommend that you use rechargeable ones, otherwise you will spend a small fortune replacing them, if you use the spreader a lot. You start by filling it with whichever material you want to spread, then turn the control dial to the correct setting for the size of that material’s individual components. You then switch it on and start walking with it. The good news is that this spreader can be used all year round, so it can be set up for seeding, spreading weed killer, feeding your lawn and for spreading ice melt in the winter. The only issue is if you try to spread salt, the machine may struggle with larger chunks. The other precautionary step applies if you are spreading fertilizer or any other material for that matter, and you do not want it to spread accidentally to another area of your garden. There is a feature of the spreader, called EdgeGuard which reduces the spread broadcast so that the material is released over a smaller area. You can combine this function with the pattern in which you walk the spreader. For the first walk, you should go around the outer edge of the area you want to spread, and switch on EdgeGuard to limit the angle of release. Then you can walk up and down in passes of about 5 ft so that the rest of your lawn gets even coverage. Carrying the spreader should not be too difficult given that it only weighs just over 2 lbs. and because it is made of plastic, it will be very easy to clean after each use. 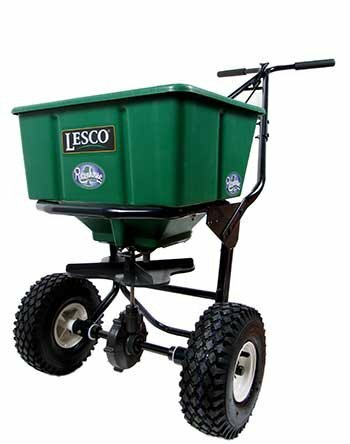 This fertilizer spreader from Lesco can be used for a lot more tasks than just fertilizing. It is ideal for spreading seed, lawn or plant food, lime, ice melt and salt. It’s very simple to use, as all you need do is fill the hopper with the appropriate material for the job at hand, and then start pushing. A lever bar attached to the handlebar allows you to open and close the opening in the base of the hopper. As you push the hopper, the wheel axle rotates, which in turn drives the gearbox. The gearbox is connected via a connector rod to the spreading plate, which rotates and spreads the material coming out of the base of the hopper. The frame which constitutes the main structure of the spreader, is made from powder-coated steel carbon. This creates an extremely stable and durable base for the spreader, and the powder coating provides protection from the elements. This allows you to use it in all weathers, without worrying about rust and corrosion. You should be looking for a spreader that has a decent hopper capacity so that you do not spend as much time running back and forward to refill the material as you do when spreading it. This should not be an issue with this spreader, due to its ability to hold up to 50 lbs. of material. One of the most common ways that a fertilizer spreader breaks down or becomes unusable, is a problem with the gearbox. The usual cause of this is material particles getting into the gearbox assembly. Once in there, they jam up the gears and can cause corrosion. In many cases this damage becomes irreparable. To solve this problem, Lesco has designed and fitted an enclosed gearbox to this spreader which should prevent any possibility of unwanted pieces of materials affecting the gears. 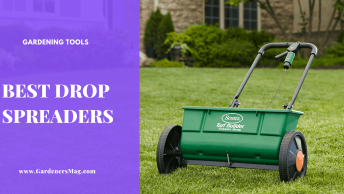 The spreader’s extra wide wheels make it easier to push it through thicker grass and lawns and make it more stable when it is being used on an incline. This next fertilizer spreader is one of the simplest products you could come across, but it is also one that does a great job of exactly what it is was designed to do. In effect, it is a plastic container like a watering can, but without the spout. 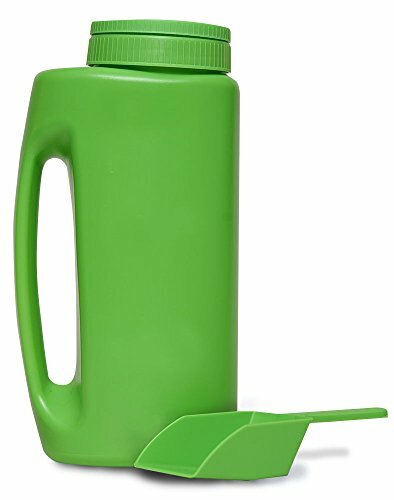 Instead of a spout, it has a screw-top lid which you remove to fill it with fertilizer or other material. To help with this task, a scoop is supplied with the spreader. The types of material this can be filled with is almost limitless, but the most common ones are grass seeds, weed killer, plant food, ice melt, and insect repellant. The fact that the spreader is made from plastic makes it very easy to clean and rinse out, after each material has been used. This prevents any danger of two different substances reacting with each other. We mentioned the plastic material, but this is not just everyday plastic. Because of the nature of what this product does, a thicker grade plastic has been used. The other advantage of plastic is that it can be used all year round as it does not suffer from rust, which many steel spreaders do. The lid is also made from plastic, and it does more than simply keep the material in the spreader once it has been screwed back on. It has 12 holes through which you spread the material in the same way a salt or pepper shaker is used. However, the holes on this spreader can be adjusted so that exactly the right amount of material is released. 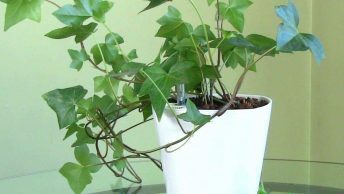 You would expect anything that comes with ‘Titan’ in its name to be a sturdy and strong product, especially if that product is to be used to spread materials such as fertilizer. Thankfully, this fertilizer spreader lives up to its name as you are about to discover. The first positive is the capacity of the hopper, which can hold up to 50 lbs. of materials. This means less time having to refill, and more time to get on with the job of spreading. The sorts of materials it can hold are varied, which allows you to use it for several different spreading jobs. Obviously, it can be used to spread fertilizer, but it will also spread other types of lawn food as well. If your soil is identified as having a low pH level, you can spread lime with this to help increase the acidity of the soil. If you do not yet have a lawn or want to reseed your existing one, then this spreader can be used for that too. There are also some practical uses for the spreader such as spreading ice melt, or salt to help clear pathways drives and sidewalks. Whichever of these jobs you undertake, you can do it knowing that the frame holding everything together is tough and robust. It is made from strong steel, so it should last well. The wheel axle is also made from steel which ensures it can provide the drive to the gearbox which then turns the spreader disc. The spreader has two large wheels with pneumatic tires, that come with very good tread. These provide excellent stability and grip, especially if you ever have to push the spreader across rough ground, or through wet, thick grass. Another place where grip is important is the handles where your hands will be placed as you push the spreader. To assist with both your grip and to make your hands as comfortable as possible, there is a soft sleeve on each handle. Just below the handles is a control lever which you use to open and close the hopper. This can be set in any one of three positions which varies how wide the opening is, to take account of the size of the material, and how much you want to spread. Fertilizer spreaders is another category with an array of designs, shapes, and sizes which ranged from a plastic container to two-wheeled frames with axles and gearboxes. 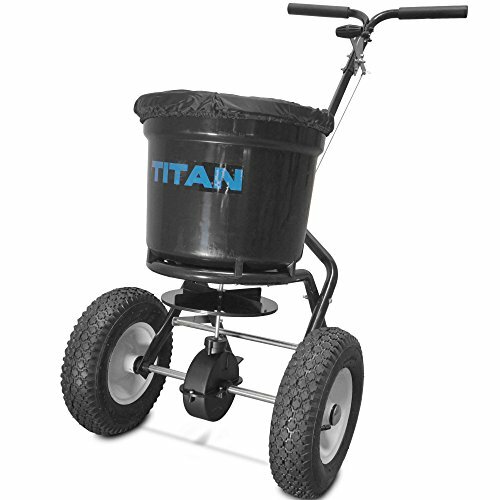 Having assessed them all we believe the best fertilizer spreader is the Titan Professional Fertilizer Spreader. It is designed to be a robust tool, but also one that helps make the job of spreading fertilizer as easy and straightforward as possible. With extra wide wheels and tires to help keep it stable and an adjustable control for the hopper, it has a little bit more than the others can offer.